Razan al-Najjar, aged just 21, was an emergency medical aid worker. 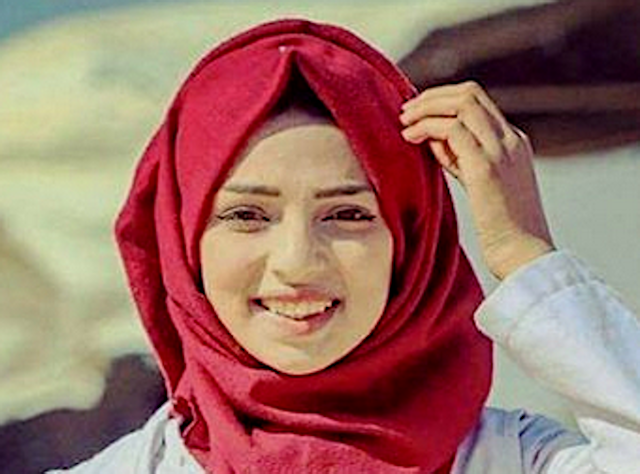 She was within her territory when she was shot and killed Friday by an Israeli sniper. 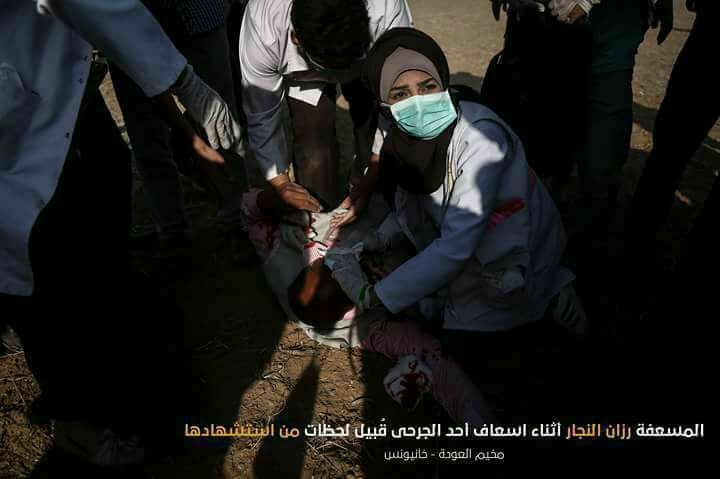 She was wearing the white uniform of a medic and was tending to a wounded protester when fired on, according to the New York Times. "An hour before dusk on Friday, the 10th week of the Palestinian protest campaign, she ran forward to aid a demonstrator for the last time” the Times wrote. Repeat : She was medic, unarmed, wearing a medic's vest. There are few greater callings in a war zone. She got her wish. To the very last moment.